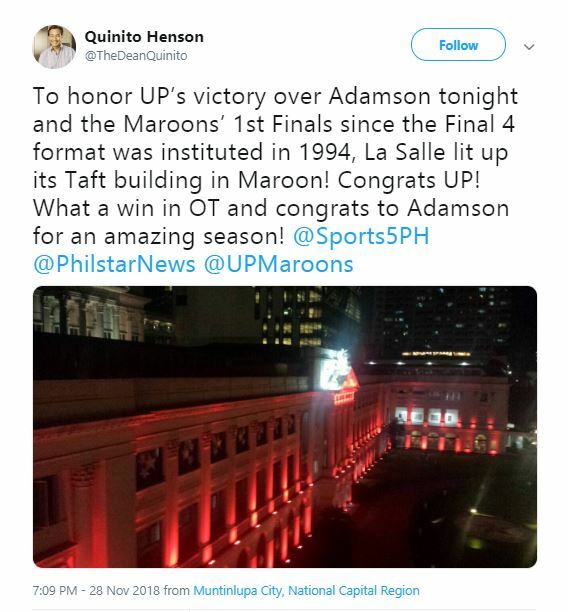 A tweet by sports columnist Quinito Henson that De La Salle University illuminated the facade of their main building to support the University of the Philippines became the subject of debate when it was pointed out that it was for “Red Wednesday,” a campaign that recalls the plight of persecuted Christians around the world. The state university won a “do-or-die game” against Adamson University in a basketball match for the 81st season of the University Athletic Association of the Philippines. Screenshot of a Twitter post that falsely proclaimed DLSU lighted up St. La Salle Hall to show support to the University of the Philippines in their basketball victory. 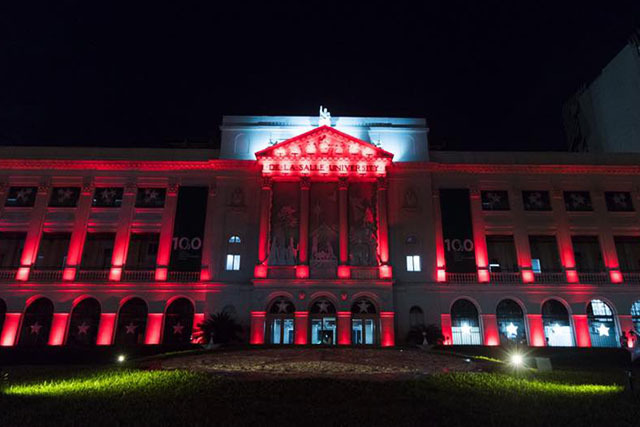 However, a Twitter post from DLSU’s student publication said it was illuminated in red to support the “Red Wednesday” campaign endorsed by the Catholic Bishops’ Conference of the Philippines. An Instagram post also indicated that the university lit their main building hours before the basketball match of UP and AdU began. 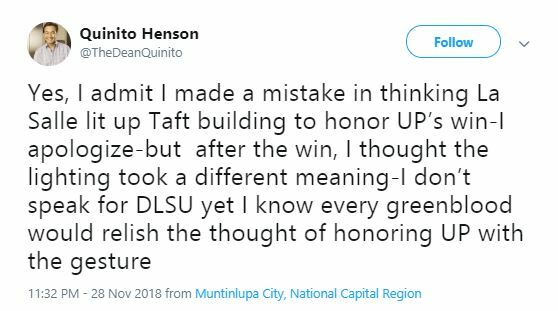 Henson acknowledged his error in a post and said that he “thought the lighting took a different meaning” after UP won the match, although he clarified that he was not speaking on behalf of DLSU. He is an alumnus of the university. 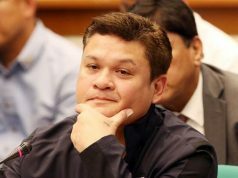 The Twitter user eventually acknowledged his mistake and said that he thought the red lighting took on a different meaning with the impression that DLSU honored UP in the basketball match. University of Santo Tomas, considered the largest Catholic university in terms of student population, also lit their main building and the historic Arch of the Centuries for “Red Wednesday”. 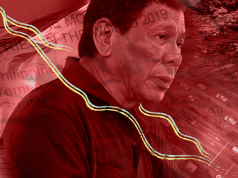 Cathedrals, minor basilicas, and national and diocesan shrines all over the country were invited by CBCP to light their structures red in order to honor persecuted Christians who died for their faith. Catholic universities were also encouraged to join the campaign. In Christianity, the color of red symbolizes martyrdom and the death of Jesus Christ on the cross. 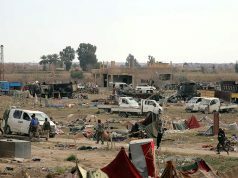 The campaign was initiated by the Aid to the Church in Need (ACN), an international pastoral aid organization of the Catholic Church that dedicates itself to helping repressed and persecuted Christians. 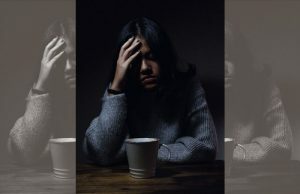 “Red Wednesday” was launched by the organization in November 2016 at the United Kingdom to promote religious freedom and to stand in solidarity with those persecuted by their faith. 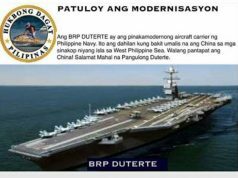 The campaign specifically recognizes Catholics who cannot fully profess and practice their religion in areas such as Egypt, Iraq, Iran (the Baha’i community), Myanmar (the Rohingya community, Europe (Jewish communities), China (people of all faiths) and in the southern Philippines. While “Red Wednesday” is mainly observed in the United Kingdom, different countries have also adopted the initiative like Australia, the United States and the Philippines. 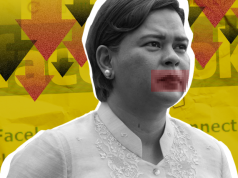 The Philippines began to participate in the campaign in 2017 under the endorsement of the CBCP, where cathedrals, similar places of worship and Catholic universities were illuminated red on November 22, 2017. The country is only one of the two nations in Asia that predominantly practices Christianity. Last year, it was discovered that the Bible—considered the religion’s sacred book—is the most popular book among Filipino adults.